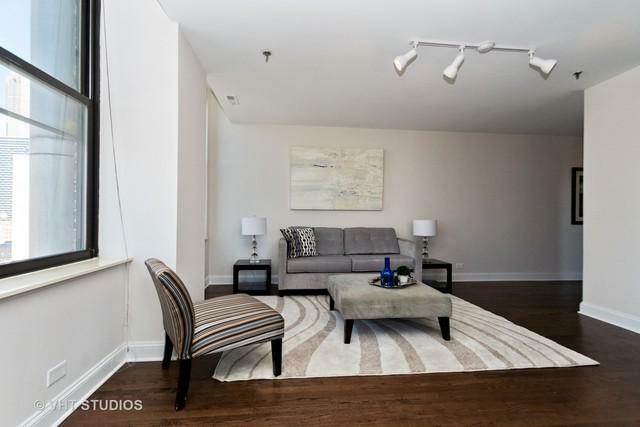 Beautiful & spacious condo renovation with captivating views in the heart of Printer's Row! 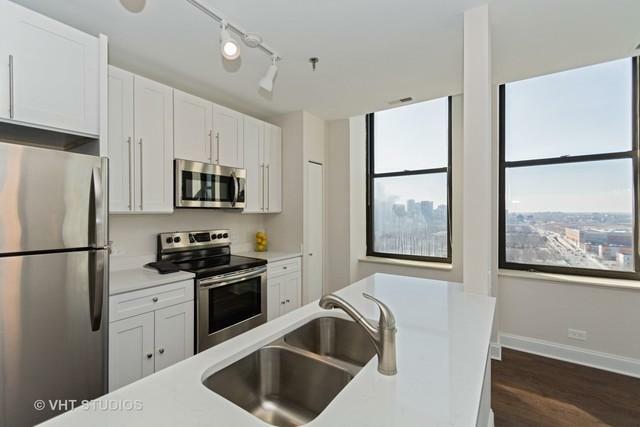 Pristine finishes throughout this sunny penthouse corner unit include new hardwood flooring, fresh paint, & fully updated kitchen & bath. The open floor plan kitchen & dining combo features brand new SS appliances, white cabinets & quartz countertops with a peninsula for extra seating. 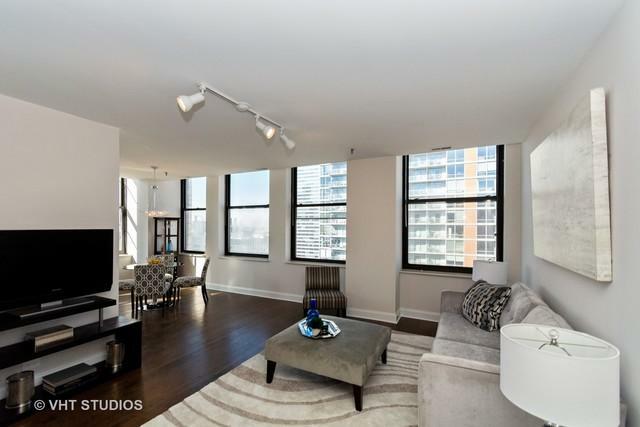 See views of Willis Tower from the large windows in the expansive living room which even features extra space for a desk/office area. Bedroom has new carpet & large closet only steps from the renovated bathroom with tub/shower combo & customized vanity. Plentiful storage w/additional front hall entry & linen closets. Laundry, exercise room, storage unit, onsite management & cleaners are all in the building & there's a delightful park across the street. Parking available for rent. 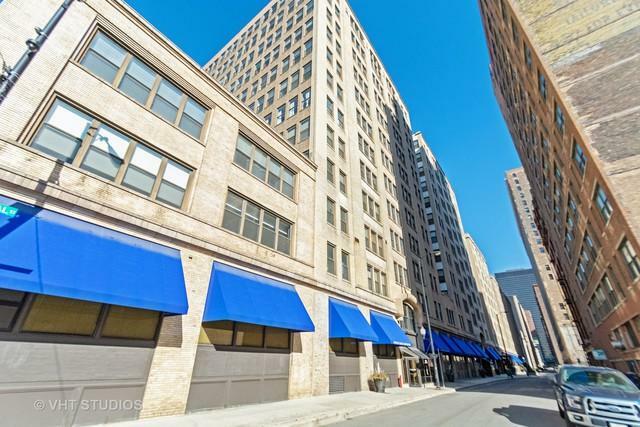 Walking distance to public transit, Loop, restaurants/cafes, gyms, Grant Park, shopping & more. Space, updates & price are unbeatable!